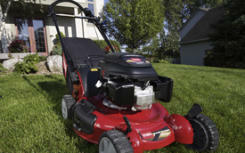 West Side Power Offers parts for most all Makes and types of Outdoor power Equipment. We support all of the popular engine manufacturers. Like Briggs&Stratton, Tecumseh, Kohler Kawasaki and Honda. We carry a large inventory of parts for Toro, John Deer Lawn Boy, Columbia, Honda, Echo Mighty Mac, MTD, TroyBilt, Sears, Murray Poulan, Homelite, Stanley-Bostitch, Jenny Cub Cadet. If we don’t have it we can get it. Most of the time if ordered by Monday we can get the same week. Just ask, We have parts look up for just about anything. We will have manufacturers links in the future to assist you with parts look up. For all your Power Equipment Needs!